Oh hai Jack Reacher. 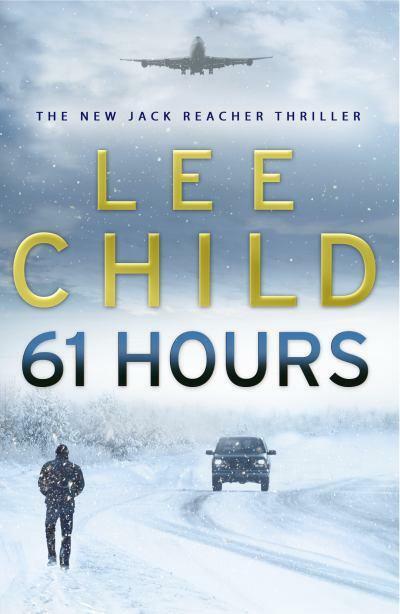 61 Hours by Lee Child sees Reacher stuck in South Dakota during a snow blizzard of the kind that lasts for days and shuts whole towns down. Coincidentally, it’s a town with a problem that needs the kind of solution Reacher can provide. There’s an elderly woman who is a key witness in a trial against a particularly vicious Mexican criminal. Previous witnesses have been scared off or killed and the local police are giving her round-the-clock protection because they know an assassin is on the way. Obviously, at first they think it’s Reacher. He’s on a bus full of tourists and it slides of the road in the blizzard so Reacher gets stuck in Bolton for a few days. He can’t help sticking his nose in and finds out about the witness. And about the new prison in the town that has a call-out policy that demands every police officer in town responds when there’s an escape. Reacher uses a secret army telephone number and meets the woman currently doing his old job, to whom he forms a connection even though they only speak on the phone. He establishes that the killer must already be in town because no one is getting in or out. The Sheriff thinks it’s someone from the biker gang who live on an abandoned air force base outside the town. They are known to make and sell amphetamines but the police are finding it difficult to prove it. Can Reacher keep the witness alive? Can he identify the killer? In the meantime, the Mexican drug lord is coming out to clear the airbase of his secret stash. The big reveal is a surprise and it’s a good one. I hadn’t worked out who the killer was, but as soon as I knew I saw that all the clues had been there. As usual, Lee Child delivers a competently written, pacy thriller that is fun and easy to read. There’s a little bit of social commentary as the characters talk about the effect of the new prison on the town, and when they discover what’s at the airbase, which is handled very effectively. 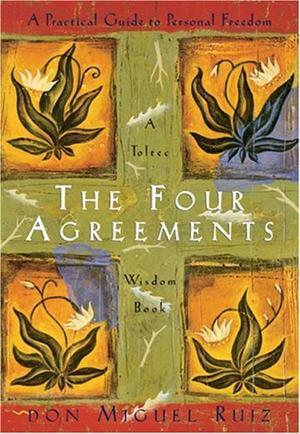 For me, it made the book the best of his that I’ve read. As an aside, I heard that Tom Cruise is going to play Jack Reacher. While I’m not someone who thinks that an actor must look exactly like the character in the book, this seems an odd choice. This might be a mental adjustment too far. 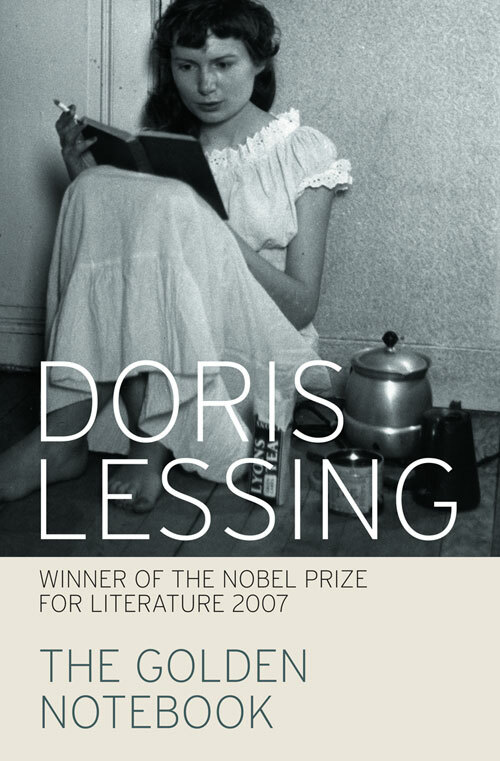 Another in my list of feminist classics I should have read but haven’t: The Golden Notebook by Doris Lessing. It is the story of Anna Wulf, who has written a novel that was a huge success but she finds herself mentally and emotionally stuck afterwards. There is something about what she has written that disgusts her and she struggles to bring that into her conscious understanding. This is the subject of Free Women, the shell story, and it is told through Anna’s interaction with her friend Molly, their children and the men in their lives. Within this, Anna writes in four notebooks. A black notebook records her writing life; a red one her political views and experiences; a yellow for her emotional life; and everyday events go in a blue one. The black notebook explores the experiences in her life that her novel was based on, how she feels about those events now, and how she responds to other people’s responses to her work. Anna gradually uncovers what makes her feel so ambiguous about her work. Anna is a communist and a sometime member of the British communist party. The novel is set in the fifties and refers to formative experiences in the forties, so Anna’s communist beliefs were arrived at in a time before Stalin’s abuses were widely known. In this notebook she explores her disillusionment and disappointment politically. In the yellow notebook Anna talks about her experience with her psychotherapist, her relationships with men, how she feels about being a single mother, her friendship with Molly, how she feels about what is happening to her mentally and emotionally. The last notebook, blue, records every day events, sometimes by Anna writing and sometimes she pastes in newspaper clippings. Finally, after several years, all the threads of Anna’s life come together in a gold-covered notebook and she finds a way to move forward with her life. I thought I would find this hard-going, but it’s not at all. It was deeply engaging and beautifully written. I found it enjoyable and I really connected with a lot of elements. Structurally, it was interesting. The use of the notebooks to split out the threads of Anna’s life meant that there was a fair amount of jumping back and forth in time and the same events appear in more than one notebook. This creates a disjointed feeling that mirrors Anna’s mental state. One thing that was interesting was the feminism. The book is called a feminist classic, but Lessing has gone public with a denial that she is a feminist. In the edition I read there is an introduction in which Lessing addresses this discussion around the novel. What I found astonishing, and kind of charming, is that Lessing says that she’s not a feminist because she believed the equality of women (and various other equality issues) was so obvious that it would be resolved by the end of the 20th century. Clearly, it’s a far more intractable problem than she thought. I would argue that The Golden Notebook really isn’t that feminist. It is in the sense that it’s a book about a woman who has a fully rounded life and is a single woman – a free woman in the book’s terms. However, aside from Molly, Anna has no close female relationships. In fact, she’s aggressive and competitive with other women. It’s feminist in the sense that the vile attitudes of the men in her life are sharply delineated, but not in the sense that Anna constantly defines herself, and allows herself to be defined, in terms of her relationships with men. It is more than that though. It is also about mental illness, political ideology, and the writing process. Lessing’s introduction says that throughout the time the book has been in print it has been interpreted through all these lens, but never as a whole. It’s a greatly thought-provoking book and I feel intellectually enriched for having read it.